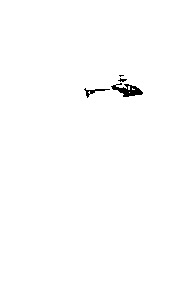 Helicopter tracking is a system consisting of our HeliControl-device, visual tracking and a PID-controller. It is designed to track a helicopter in flight and keep it at a desired altitude. 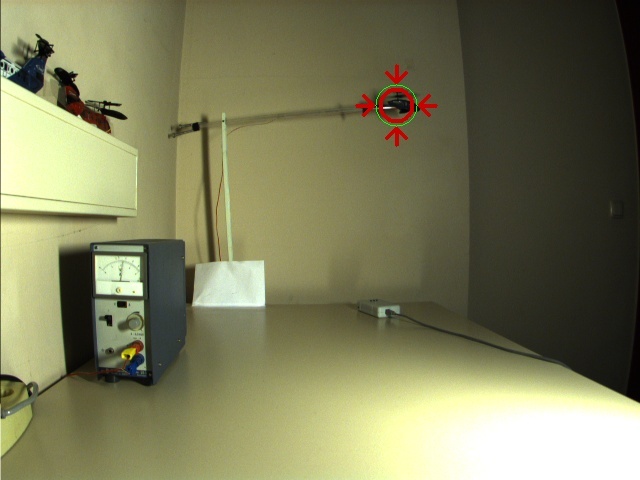 We are currently using one Pt Grey firewire cam with a resolution of 640×480 and a frame rate of 30 pics/sec. Image processing is done with OpenCV by building a dynamic threshold. Since the helicopter is mounted on a movable frame, it’s moving capabilities are restricted to a certain ROI (region of interest), so we keep the processing expenses low by only searching in this area. If found, we pass a percentual value of the helicopters altitude to our PID-controller, which calculates new control values to send to the helicopter via HeliControl. Future plans include 3D-tracking based on several cameras and an improved tracking-algorithm not only based on dynamic threshold, but on shape and last known position, too.